Iceland’s a small country, which means it is the perfect place to ditch the organised tour groups and drive yourself around. Now, we visited in winter, which made the driving conditions challenging on a few occasions. Like the night we arrived just before an Arctic snowstorm hit, and our projected 2.5 hour drive ended up taking 5 hours and we almost died. That’s a story for another day. 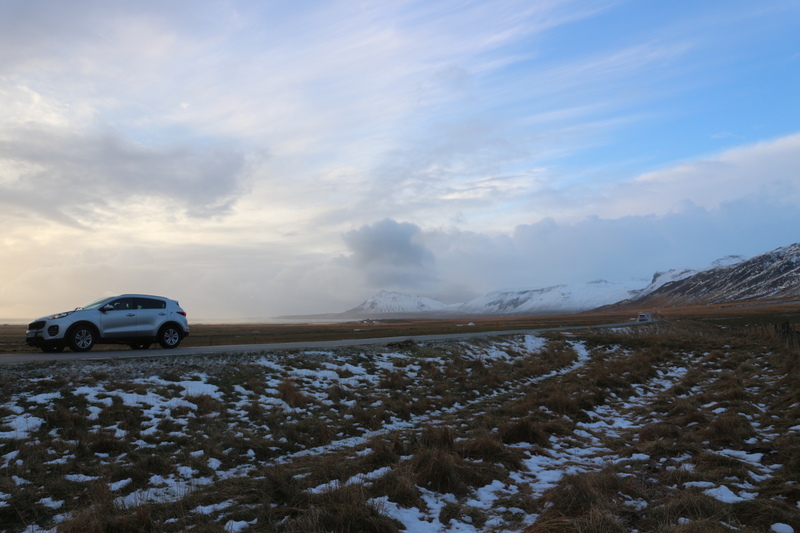 But Arctic snowstorms aside, it’s actually a really easy place to drive yourself around, so I’m going to show you how you can day trip the Snæfellsnes Peninsula in a day without a tour guide! I’m sure you’ll be able to get your paws on a slightly more accurate map, but this is the one I drew in my travel journal at the end of our day, which should (hopefully) give you a pretty good indication of where things are – the area isn’t too big so you should be able to find everything! We stayed in Hellissandur, which is a tiny little village which is starting to get a bit more attention from tourists. The Airbnb we stayed in was a beautiful two bedroom home with wonderful amenities and really lovely hosts, which I’d highly recommend – if anyone wants the details, just email me! While the village itself is really small, the location makes it a perfect place to base yourself while you tour the Peninsula. These had no signposts or descriptions, and I couldn’t tell you what they were from, but there were some remainders of old stone structures with a view out over the water. The area was completely deserted, so we figured we’d stop for a look around. 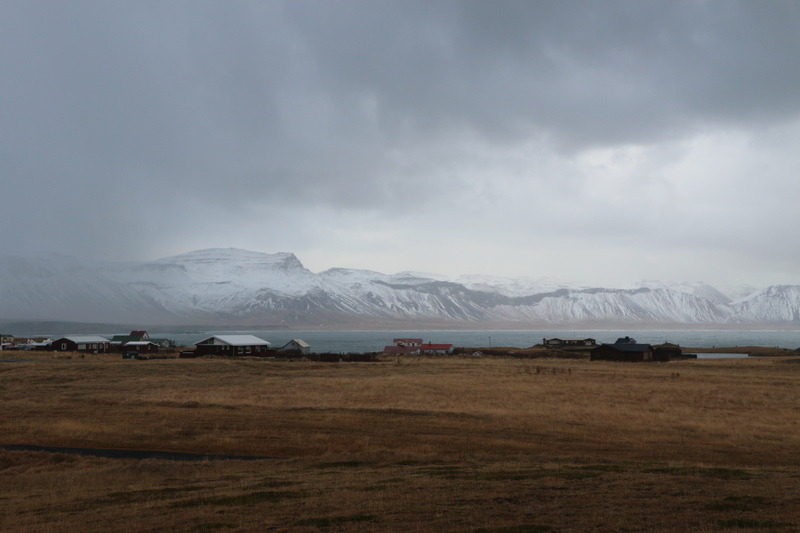 Like so many other parts of the Peninsula, Djúpalónssandur used to be populated by fishermen. 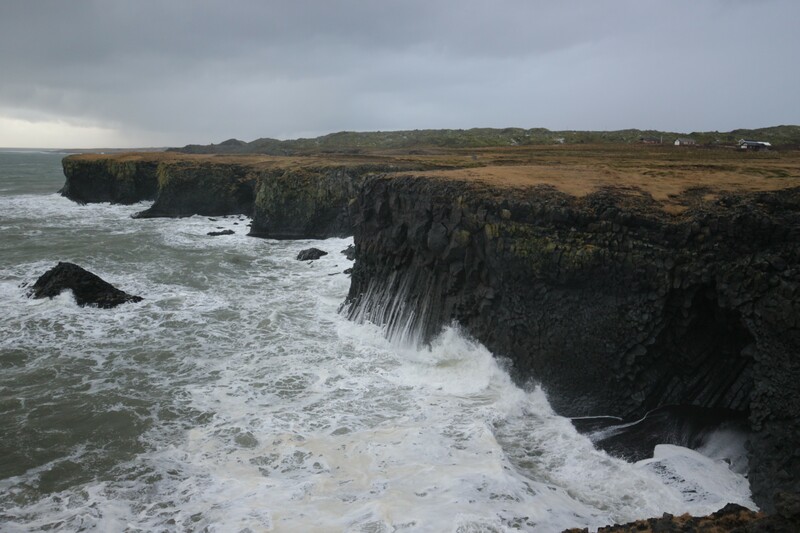 You’ll find a pebbly shore, lava formations and a beautiful view. Just stick to the paths, as much for your own safety as for the flora around the area. Volcanic basalt columns popping up out of the water in a castle-looking formation, you can walk down to get a little closer (as long as you’re careful! ), and if you visit at the right time of year, you may get to see some puffins. Another little fishing village sitting below Mt Stapafell, Arnarstapi is one of those places worth visiting just to look at. 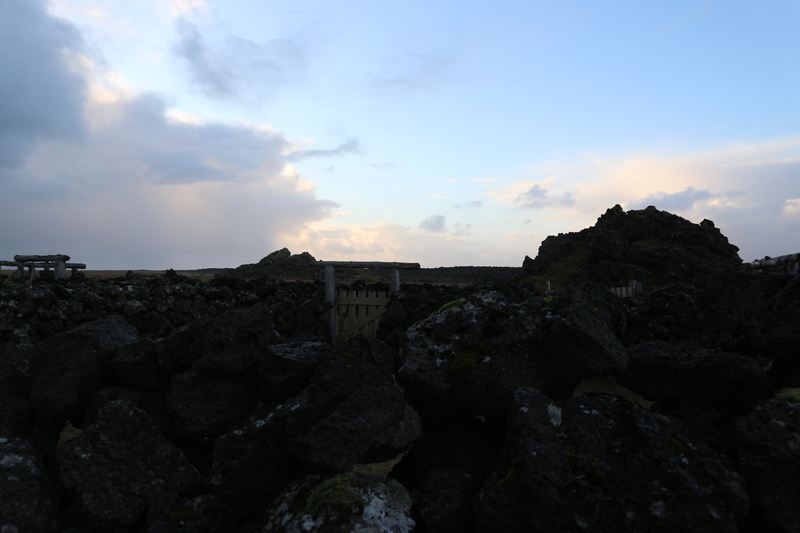 The little houses look like doll houses under the massive mountains and endless sky, the basalt cliff faces make for a pretty imposing sight, and the sculpture of Bárður looks like something straight out of the sagas. Honestly, we took a lot longer to drive the Peninsula than we needed, because we just kept pulling over when we came across sights like these. 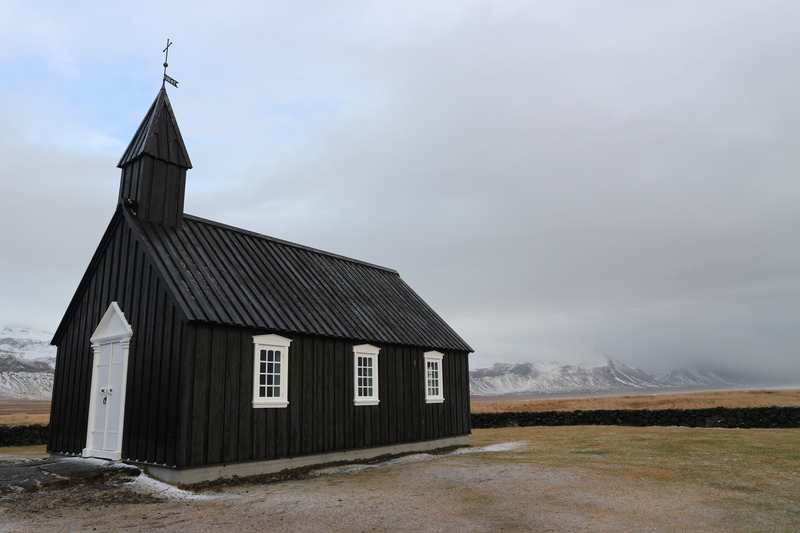 Not even a town, Búdir is a tiny hamlet located on lava fields, and is probably best known by tourists for it’s black church – which is especially striking in winter, when almost everything around it is white. Iceland is known for it’s incredible waterfalls, and Bjarnafoss is another shining example. 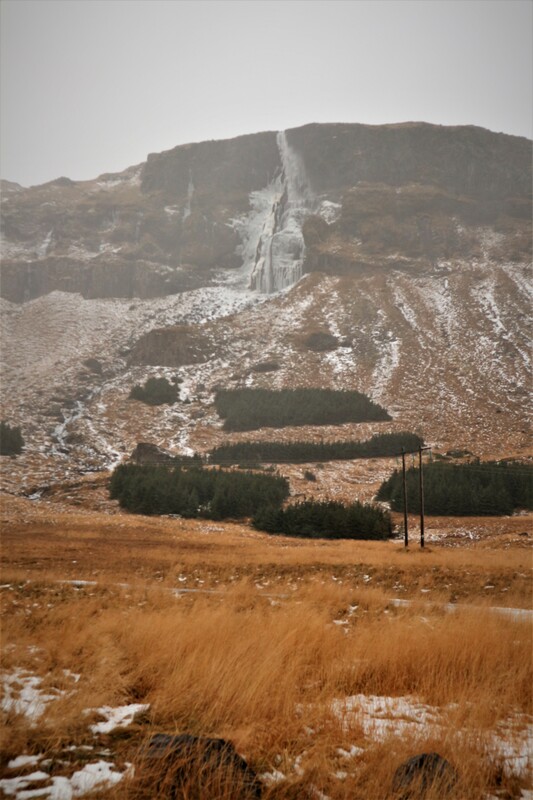 Around 80m high, it’s easily seen from the road, but you probably won’t be able to get too close because the waterfall is actually located on private property. At this point in the day, we were getting a little cold and tired, and decided we’d need a time out if we were going to stretch the day out a little longer. On the way to see the 463m high Kirkjufell, we stopped in the little town of Grundarfjörður, where we found Kaffi 59, a cute little bistro that had hot tea and coffee and delicious chocolate cake for us to recharge with. Last stop on our way home was in Ólafsvík for a grocery run. Eating out in Iceland isn’t cheap, so grocery stores were essential for us. With enough instant noodles, frozen veggies and snacks for dinner and the following day’s road trip stacked up in the back seat, we were on our way back to a hot shower after a long day on the road. 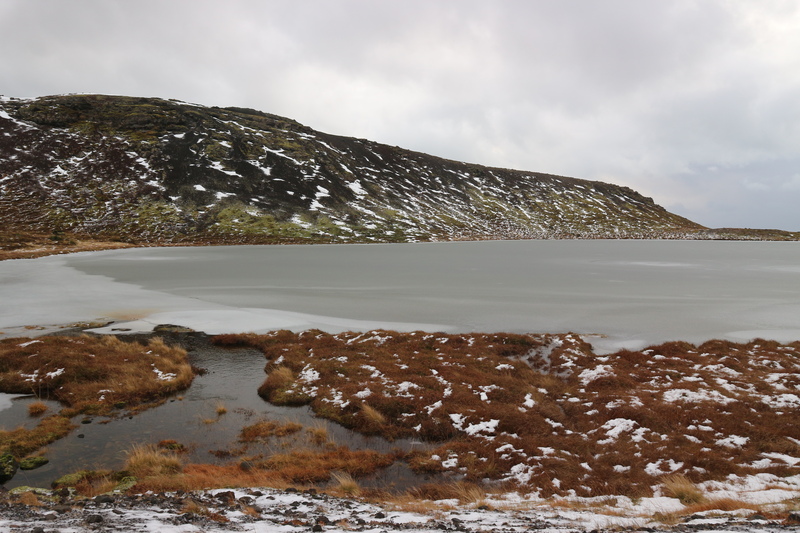 We obviously only just skimmed the surface, and there’s plenty more to see and do around this area, but we had to skip a few things because of spotty weather. 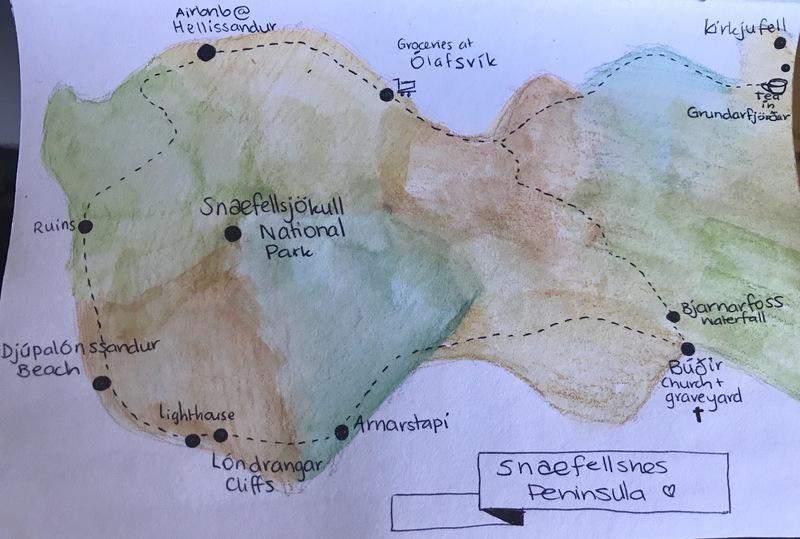 But following that path should give you a great taste of the Snæfellsnes Peninsula, and allow you to discover a few more treasures on your way!